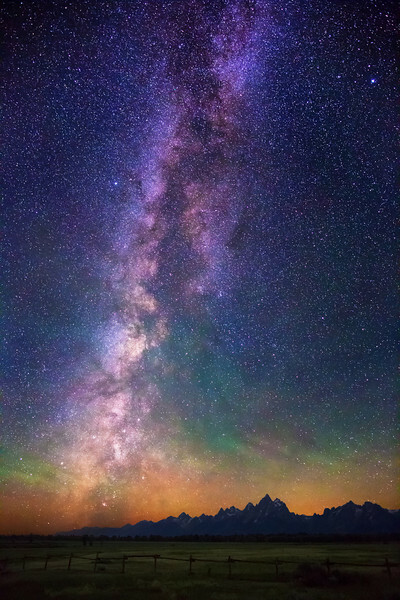 Milky Way Dawn over Grand Teton Range. Partly cloudy in front of the Milky Way stars. Pre-dawn (3:28 AM) ~ about two hours and 45 minutes before sunrise. Taken from the Elk Ranch Flats Turnout, Grand Teton National Park.